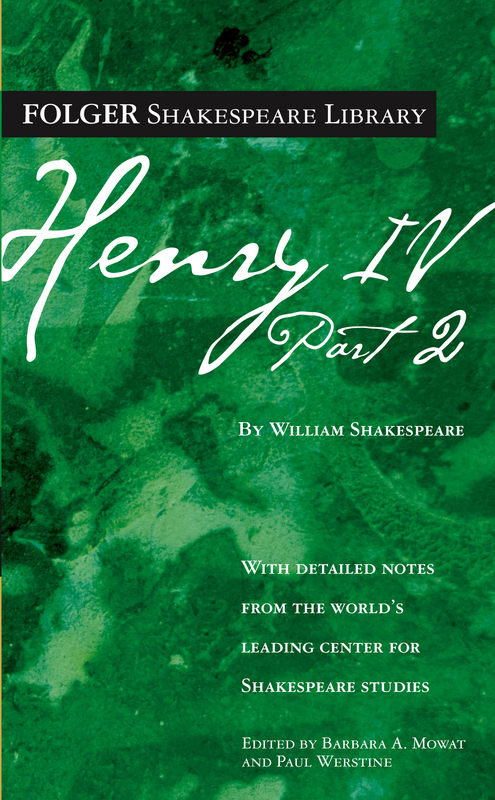 Henry IV, Part 2 is the only Shakespeare play that is a “sequel,” in the modern sense, to an earlier play of his. Like most sequels, it repeats many elements from the previous work, Henry IV, Part 1. This play again puts on stage Henry IV’s son, Prince Hal, who continues to conceal his potential greatness by consorting with tavern dwellers, including the witty Sir John Falstaff. As in Part 1, Prince Hal and Falstaff seek to best each other in conversation, while Falstaff tries to ingratiate himself with Hal and Hal disdains him. Part 2 adds some fresh characters, the rural justices Shallow and Silence and Shallow’s household. Political rebellion, while important to the plot, does not loom as large as in Part 1. There are no glorious champions; combat is replaced by deception, cunning, and treachery.